There’s no better way to open a cold one then with our Black Punisher Skull Bottle Opener! Crafted in the shape of the iconic skull, it has a solid 3Cr13 stainless steel construction that fits comfortably in your hand. 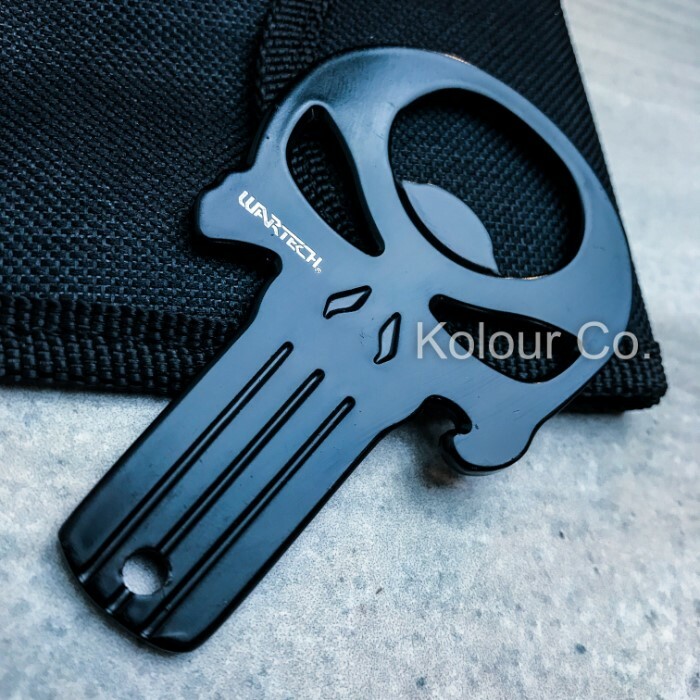 The 3 1/4”x 2” overall bottle opener can be conveniently carried in its sturdy nylon belt pouch and it also has a lanyard hole for another option of carry.